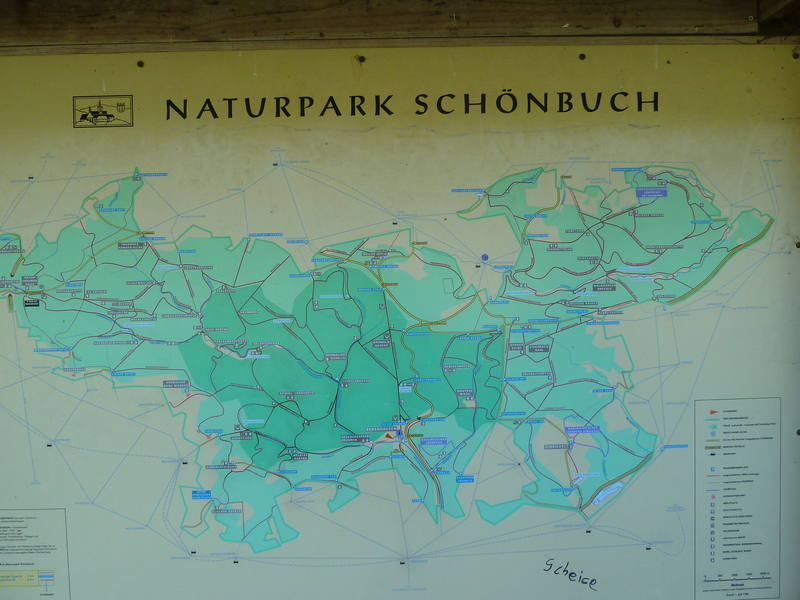 Very close to Stuttgart you find the Schönbuch Nature Park. 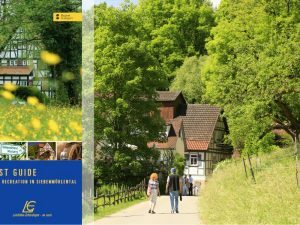 It is located between Tübingen in the south and Waldenbuch in the north and between Herrenberg in the west and Neckartenzlingen in the east. From the city center of Stuttgart, you can be there in 30 minutes by car. 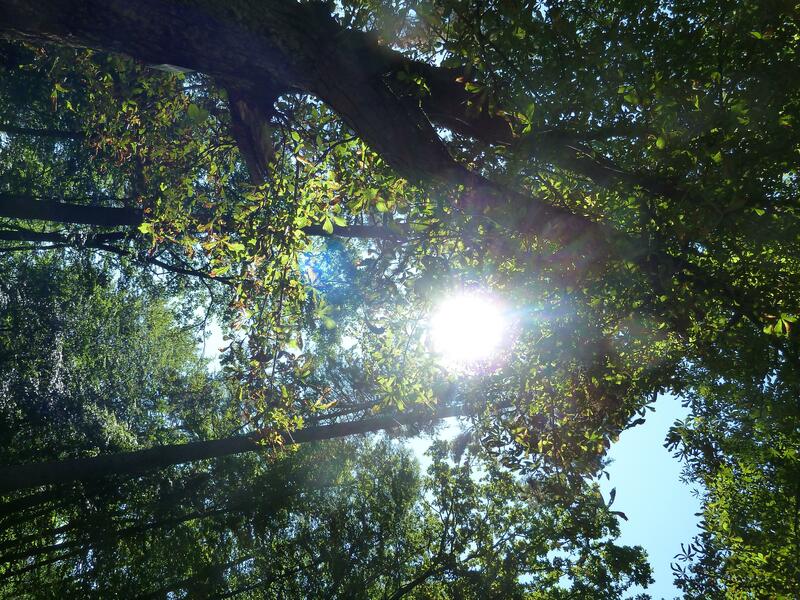 The Nature Park is a great recreation area for everybody who likes hiking and cycling. 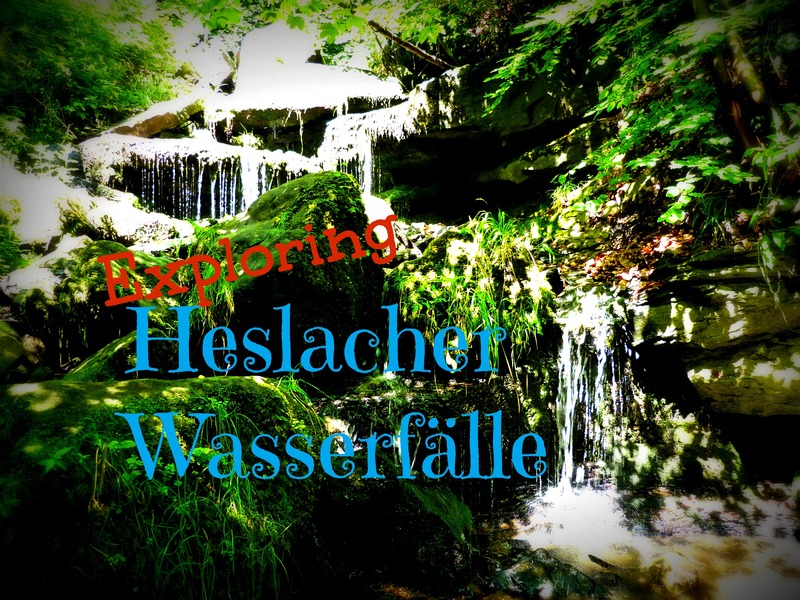 Two week ago, my husband Moritz and I decided to do one of our favourite hikes there. It’s a round trip that begins in Bebenhausen. As usual when hiking in and around Stuttgart, we took one of my fathers guide books with us. This time, it was “Ausflugsziel Schönbuch” published by Silberburg-Verlag. We parked our car outside of Bebenhausen and passed the village on the south side, following the Goldersbach. Before the trail leads you down again, you turn left and take the Jägerweg. We followed this track until we saw the sign pointing out the Königliche Jagdhütte. We followed the sign by turning right again in order to arrive at the old blockhouse. 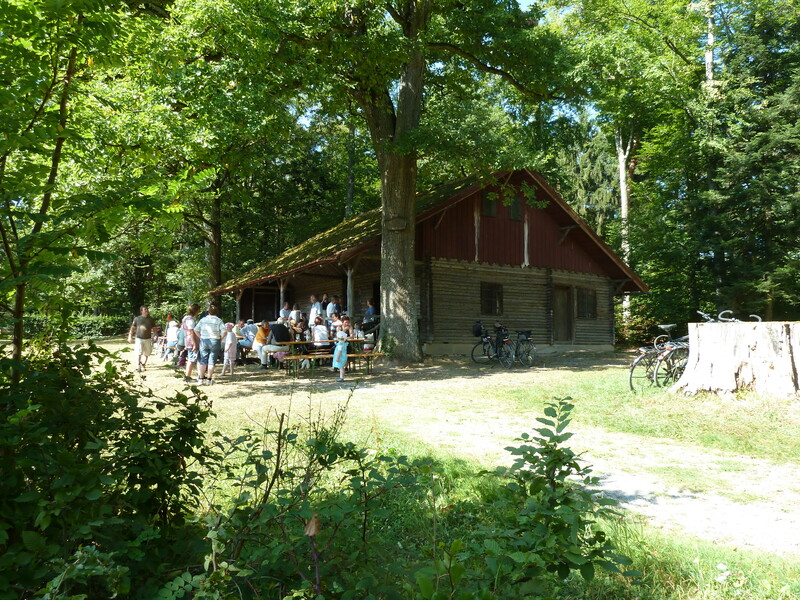 Crown prince Wilhelm of Württemberg built this cabin in 1888. It’s quite interesting to see this nice cabin and think about how one hundred years ago, a king went hunting in these woods from here. 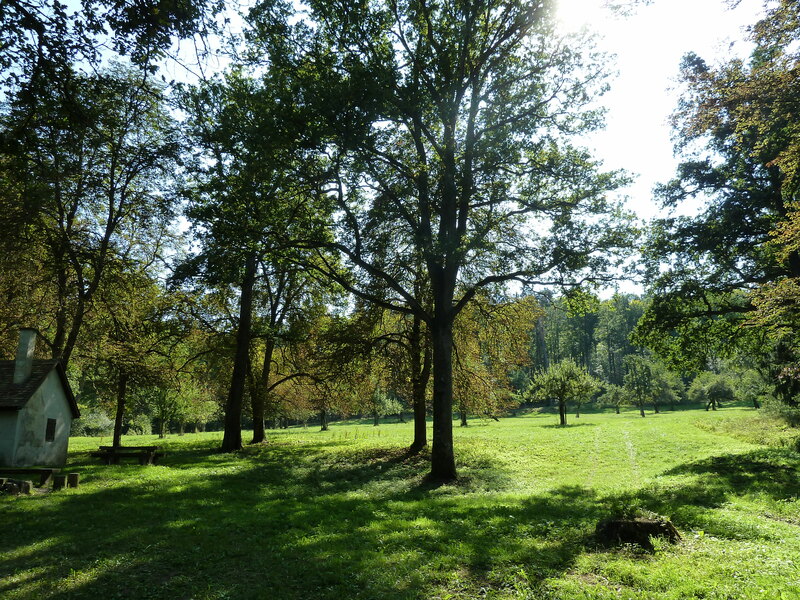 It is also a nice place for a barbecue or a picnic and you have quite a nice view. 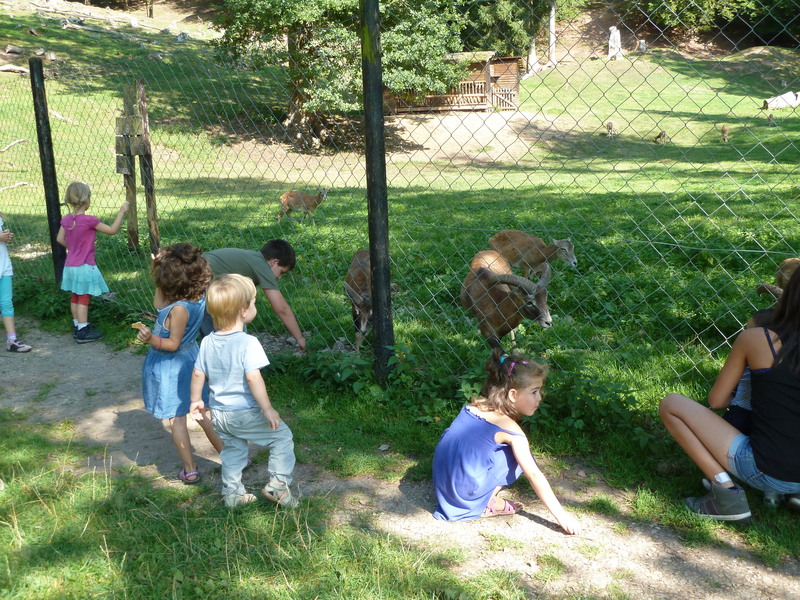 However, when Moritz and I arrived, all the seats where taken and a lot of children were running around so we decided to head on and look for another place where we could have lunch. After the Königliche Jagdhütte we turned left and the track led us down again. We passed an old oak tree, the Münsteiche, and made the mistake of turning right instead of walking straight ahead. 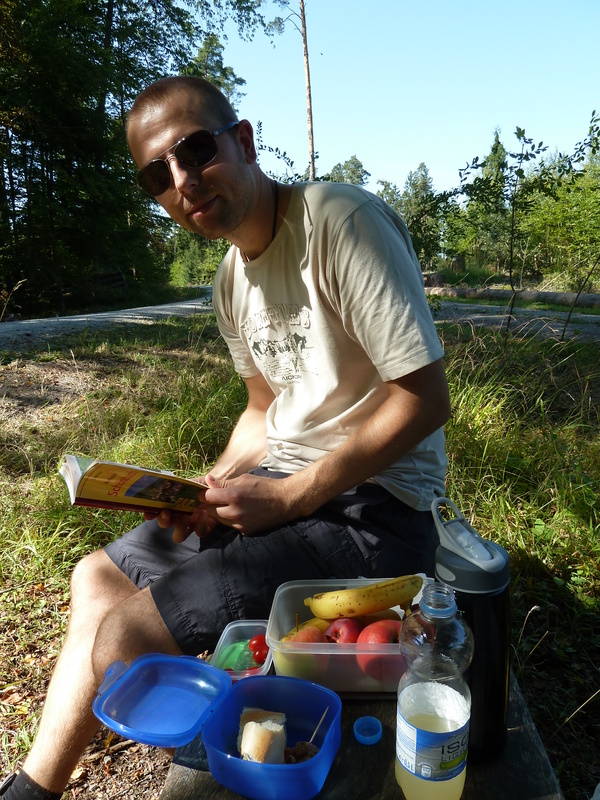 But that didn’t matter because we reached another old tree, called Kaiserlinde, where we sat down and had a nice little picnic. A few other hikers and bikers came by and two of them asked us for the way, they got lost as we did. But because my guide book contained a little map, we could help them find the right track again. After lunch we continued walking and came back to the right trail. 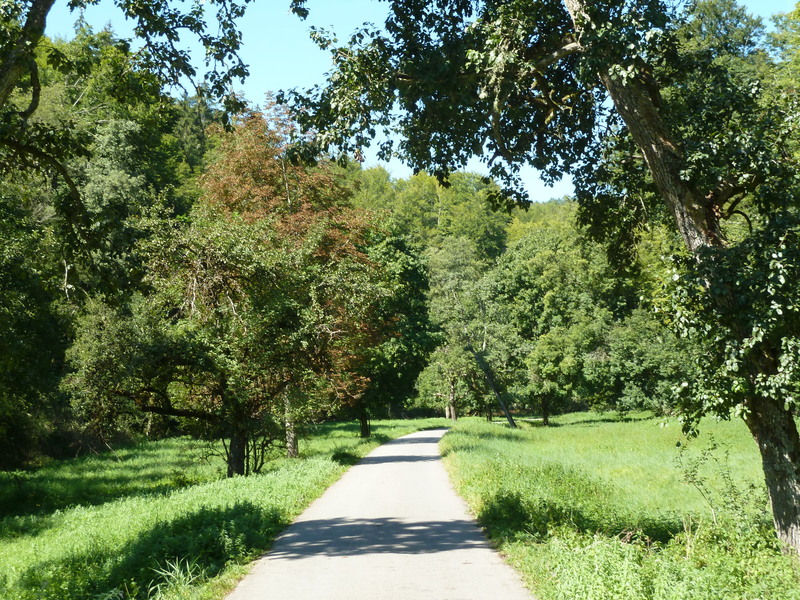 It leads to the game reserve Saurucken. The way back from the Saurucken to Bebenhausen is tarred and very even. It leads you through the Arenbachtal. You pass more old trees which look beautiful in autumn when the leaves turn yellow and red. Back in Bebenhausen, I recommand having a look at the old abbey. 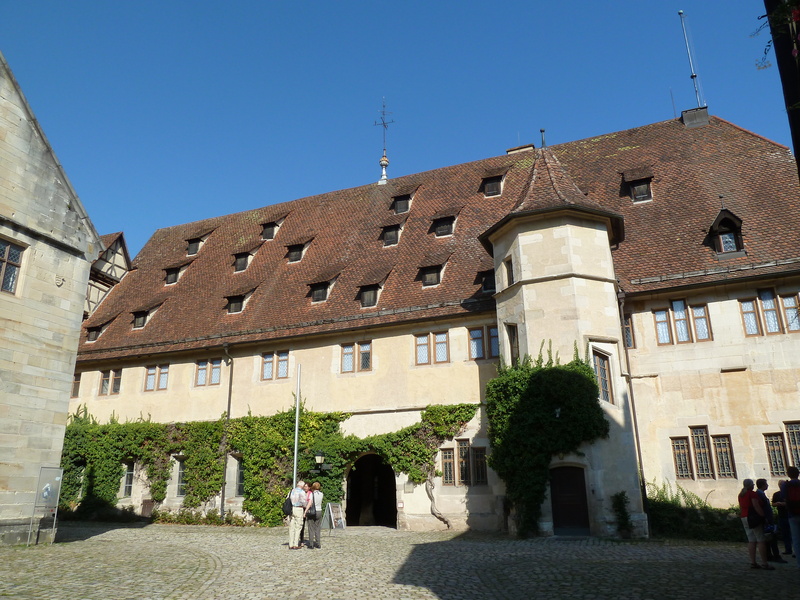 It was founded around 1183/84 and served several purposes since: It used to be one of the wealthiest monasteries in Württemberg, then served as a protestant monastery school and as a hunting palace and it became the state parliament of Württemberg-Hohenzollern later. This hike is 13 kilometers long and takes about 3 hours to complete. 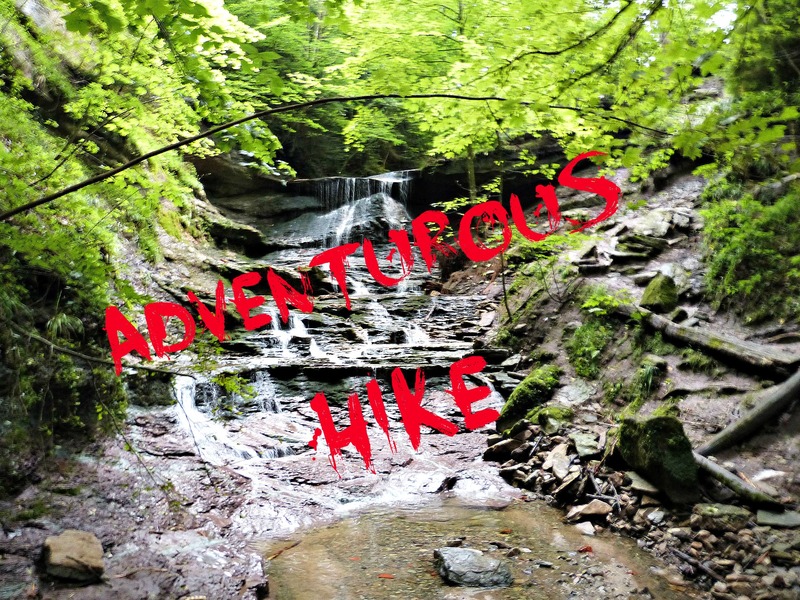 It is one of my favourite hikes in the area because you pass so many different attractions and the nature is so extremely beautiful out here. When you go there, tell me if you like it as well.